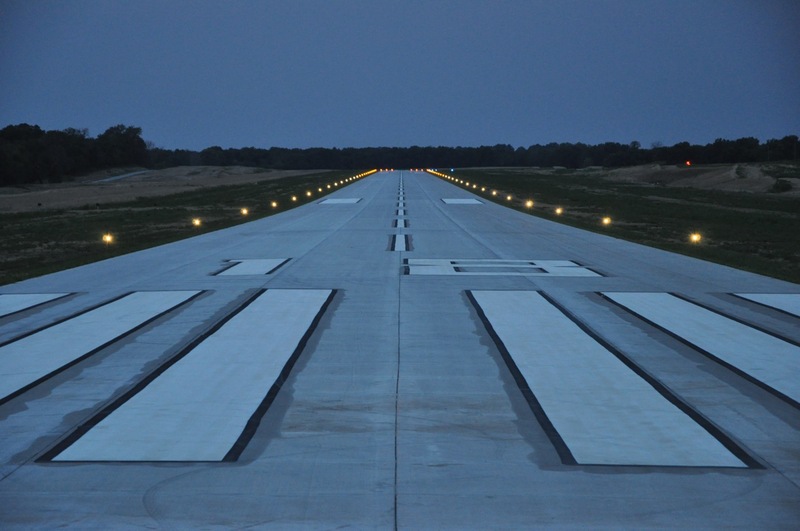 The new runway at the Clinton airport is complete and open for business. The runway is a little over a mile long and will accommodate small jets. I’m a member of the City of Clinton’s Airport Board and I’ve been involved with this process from start to finish. Expansion of the airport in Clinton will provide opportunity for continued economic growth and open the door for new avenues of commerce. A picture is worth a thousand words so here’s a picture of the new runway. My good friend Chris Walker took the picture and I think you’ll agree he did a great job. I’m a pilot and I can’t wait to take off and land on the new runway, I haven’t flown for about 2 years but I’m willing to take passengers….any volunteers?